Justin Trudeau lives up to election promise to stop Canadian jets from bombing ISIS, says military will engage on different track. 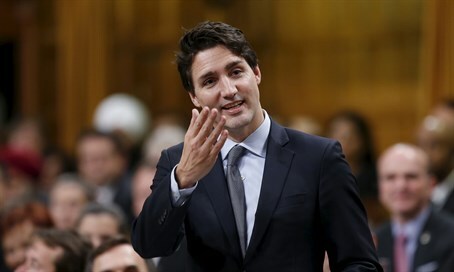 Canadian Prime Minister Justin Trudeau is keeping his post-election promises and planning to put an end to the participation of the Canadian Air Force in the allied bombings of ISIS. Instead, he is moving Canadian efforts towards training local forces and towards providing humanitarian aid in Syria and Iraq. In an interview with Global News, Trudeau said that he sees no reason to change this new policy towards ISIS and the threat of Islamic terror, even if a terror attack similar to the one in Paris were carried out on Canadian soil. Trudeau argued that the greatest threat to ISIS is a tremendously open and diverse society in which Muslims and other minorities are fully integrated into mainstream secular society, and that compatibility between extraordinary diversity and a successfully safe society is Canada’s greatest strength and that that is what needs to be highlighted. Trudeau said that Canada’s effort will likely revolve more around training local forces to take up the fight against ISIS and fight to get their homes back.